This unusual Polonica keepsake is representative of the ethnic diversity and variety of collection formats housed in Houghton Library. 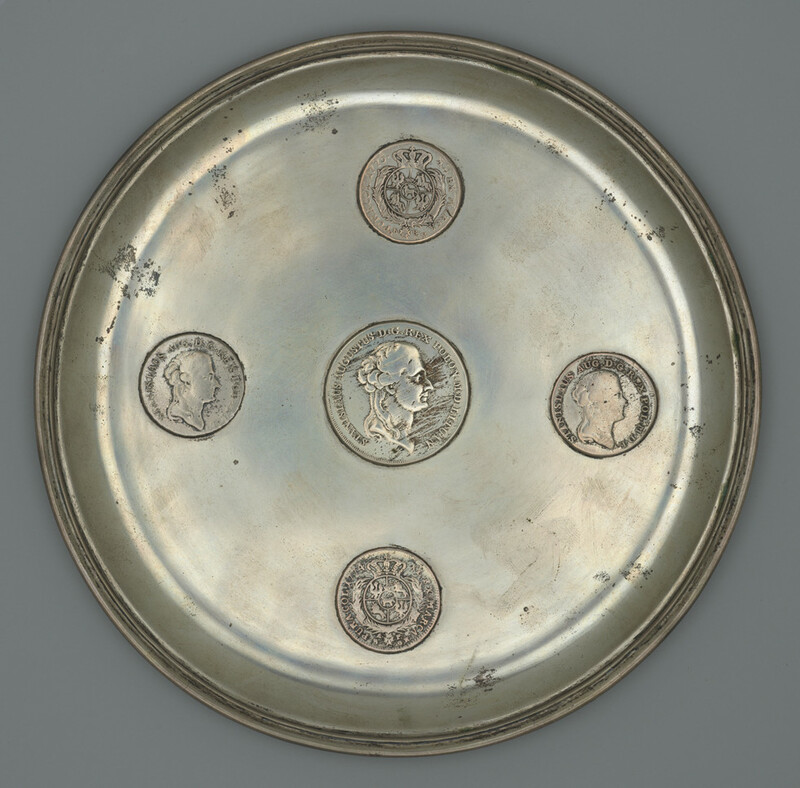 The five Polish coins embedded in this silver plate date from 1774 to 1789. 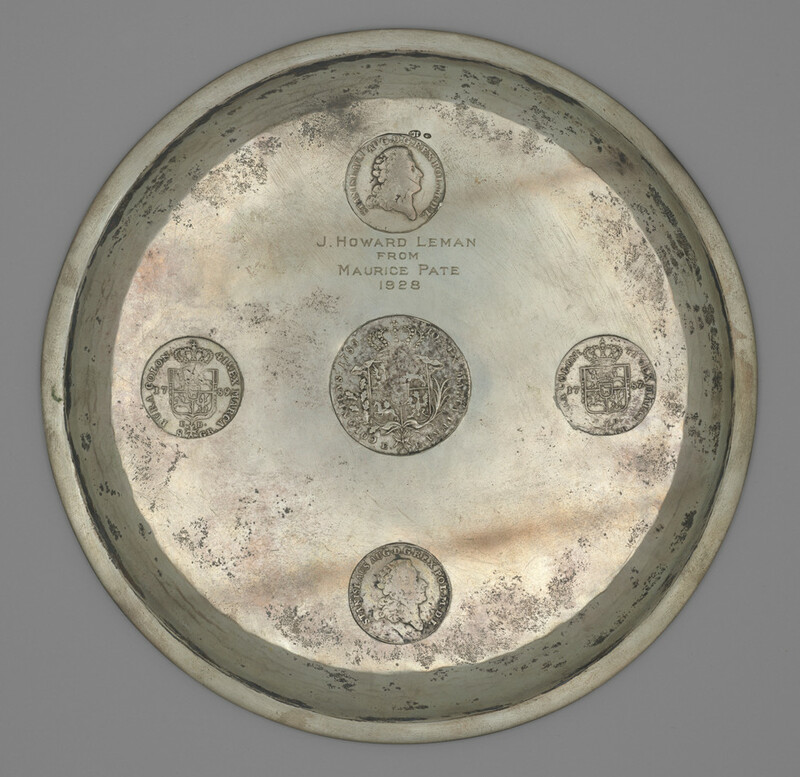 On the reverse the plate is engraved: “J. Howard Leman from Maurice Pate 1928.” Pate worked for Standard Oil of New Jersey in Poland from 1922 to 1927, and later managed a Polish import and banking business. He co-founded the United Nations Children’s Fund (UNICEF) in 1947 and served as its first executive director until his death in 1965. Leman, the donor, was an agent of the firm Paine, Webber and Company with close ties to Poland.